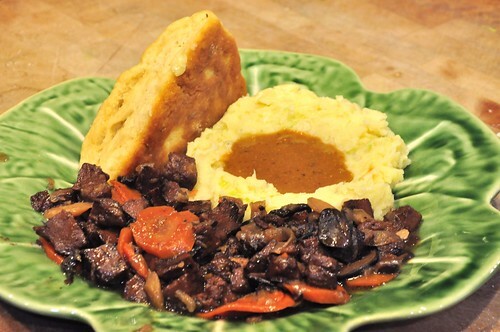 Since the beginning of the blog (in 2002*), we have always made this recipe, a hearty and filling Seitan based stew that is combined with Colcannon (Mashed Potatoes & Cabbage) and Beer Gravy (this year we used Samuel Smith Oatmeal Stout). 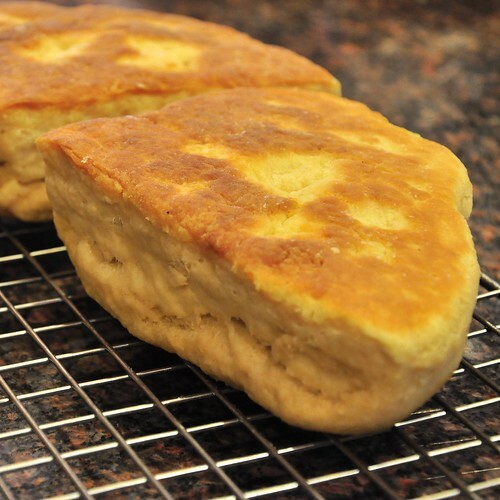 Soda Farls are a new addition to the proceedings, a quick soda bread that is fried in the cast iron skillet. 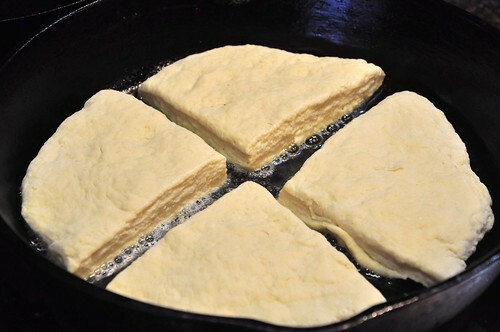 The soda farls use 3 cups of flour, 1 tsp. of baking soda and 1 tsp. salt combined with 3/4 cup of plain soy yogurt & 3/4 cup of water, formed into a dough and rolled out into a round about 3/4" thick, and cut into quarters -- or farls. They were fried on medium high heat with 1 tbs. of earth balance for seven minutes on the first side. Reduce the heat to med-low, flip the bread and add another 1 tbs. of EB and fry for another 10 minutes the second side. As you can see, they came out really light and fluffy -- perfect! 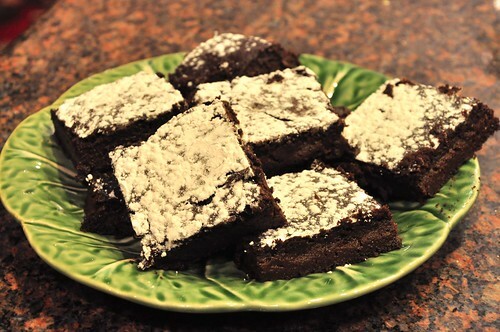 For dessert, the double chocolate stout brownies were topped with powdered sugar. * Hey you kids, get off my lawn!